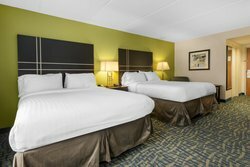 Perfect for traveling groups, the Two Queen guest room has space for everyone to comfortably share. Sleep soundly on plush beds with crisp bedding and lots of pillows. 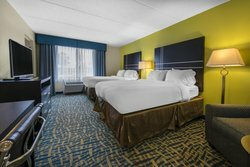 Our quiet hotel gives travelers easy access to the I-95 highway to conveniently visit downtown attractions and local businesses in Savannah. 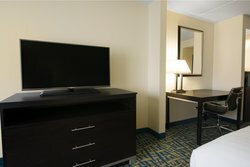 Pop some popcorn in the microwave and kick back with a movie on the 42” HDTV. 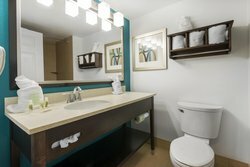 Check your email inbox or post photos of your trip on social media with our complimentary high-speed Wi-Fi. 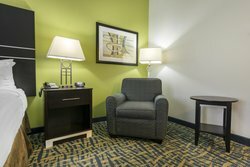 Our smoke-free rooms are cleaned daily and are the ideal home base for travelers visiting or driving through Savannah, Georgia.